If your dream is to have a beautiful garden but you don't have the time to dedicate to the job, call 020 3746 3128 and take advantage of Allan's Gardeners. On hand to help with many kinds of work, the services of the expert Teddington TW1 garden maintainers are an affordable alternative to spending time and effort yourself. Available for both residential and commercial customers, we have an arsenal full of the best equipment, tools and expertise in order to create your dream garden, and then keep it well maintained. Our prices are reasonable, and your service can be booked on a regular basis - daily, weekly, or for a one off occasion. Same day service - if you need the Teddington TW1 garden maintenance pros in an emergency we're always here to help - even when the weather is bad! 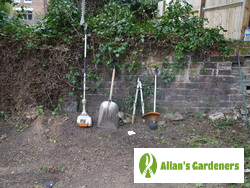 Contact us through our chat facility or fill in our contact form to tell us a little about what you're looking for and get a free instant quote from Allan's Gardeners in Teddington TW1. Alternatively, call us any time on 020 3746 3128. Initially our helpful customer advisers will probably have a few questions to ask, just to get a better idea of the scope of the work involved before giving you a guide price. Go on to arrange an onsite visit where the finer details will be worked out. On your request, your gardening could start there and then. 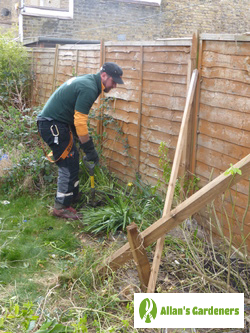 You can get professional gardening and other services from us in more than just Teddington. Find experts in… Thames Ditton, Thornton Heath, Uckfield, Wallington, Walsall.